No, he’s not a tasty Italian pasta dish. 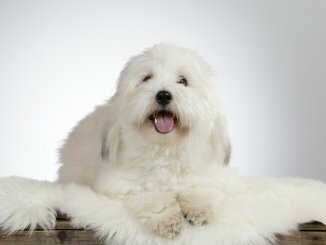 The Bolognese Dog, also known as the Bichon Bolognese, is in fact a cousin of the slightly more popular Bichon Frise. Historically he was a lap dog of kings, queens and lords in Bologna, Italy. Now, he is more commonly found as a delightful partner in crime for anyone in need of a small canine companion. Vivacious and lively, this rare dog breed is perfect for anyone who is home frequently. They may be small, but don’t be fooled, this little dog packs a lot of personality into their 30cm size. Could this dog be the perfect match for you? Read on to find out. Is A Bolognese A Good Family Dog? How Much Do Bolognese Dogs Cost? 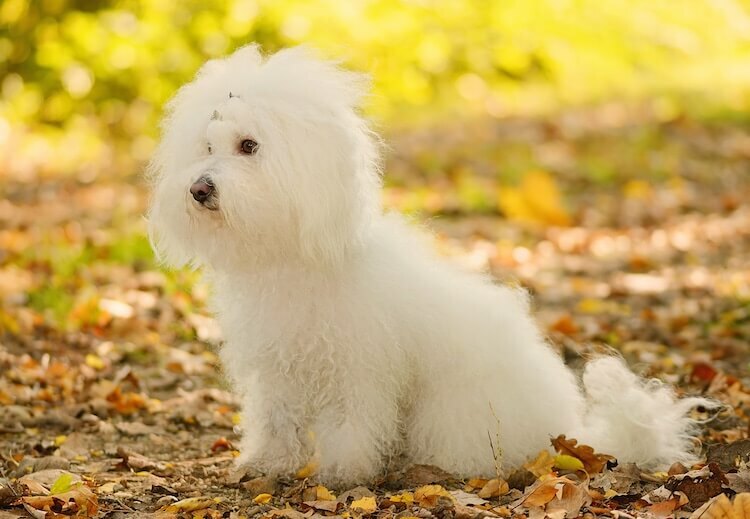 This toy breed was first seen in the Mediterranean as a part of the Bichon family. They were popular trade items because of their friendly temperament. During the Renaissance, this was exclusively a pet of the wealthy and noble. These dogs were seen on the laps of the Medici’s and other famous families; Cosimo de Medici once brought a basket of 8 puppies to Belgium as gifts for the lords and ladies of Brussels. This idea came after receiving two puppies as a gift themselves and declaring “these are the dogs of emperors!”. Towards the end of the Renaissance, the days of courts came to an end, which almost resulted in the end of this breed. Fortunately, fans of this vivacious little dog breed stepped in and stopped the breed from vanishing all together. The breed was first seen in America in 1985, and in England in 1990. They are a part of the English Kennel Club as of 2001 and are a part of the American Kennel Club Foundation Stock Service (AKCFSS). Bolognese Dogs are classified as a toy breed and are now kept as loving companions and lapdogs. A female can have up to 7 puppies, averaging 3 in a single litter. This smaller litter size, plus the fact they are not a common dog, can make sourcing your own Bolognese puppy very difficult and expensive. For a purebred Bolognese puppy you should pay between $1,800 and $2,500 USD. The official breed standard describes the dog as “small size, stocky and compact, covered with a pure white coat, long and fluffy”. Bolognese Dogs are small stocky dogs with the females being slightly smaller than the males. The females tend to be between 10-11″ and the males tend to be between 10.5″-12″. When fully grown they weigh between 5.5 – 9 pounds. They have a petite face, stocky legs and round dark eyes. Squarely built and stocky, they have a curved tail and floppy ears. The Bolognese is only seen in white and does not have any other coat colours. They have long, white and wavy hair. With no undercoat, it has a woolly texture as opposed to silky which will need regular brushing. This would occur ideally every day but at minimum four times a week. A soft pin brush and wide comb is recommended over a slicker brush, as this may destroy your dog’s coat. Most owners choose not to clip their dogs coat, instead leaving it long and fluffy. Bolognese Dogs are fun, playful and yet serious dogs. They tend to be reserved and shy but they will bond well with their owners, forming a close relationship with one or two people. This is not to say that this small dog is not kind and loving, in fact they get on well with all people and animals if they are socialised well when they are young. They are prone to little dog syndrome; due to their small size. This is the name given to a group of behaviours exhibited by small dogs to compensate for their small size. One example of this is barking, these problems can be overcome with good socialization and consistent training. They have a rather unique ability to “shadow” one human. This is where they pick one human to protect above all others. As a result of this tendency, they can suffer from bad separation anxiety. Consequently, your puppy may howl or bark when left alone. Again, this problem can be overcome with patience and boundary setting. Due their small stature, Bolognese Dogs tend to have relatively low energy levels. Now this isn’t to say they don’t get “the zoomies” every now and again, but rather that they are quite content to curl up on the couch after a short walk or training session. They get on well with children, as they are playful and energetic, however, they are best suited to families with older children. They are highly intelligent dogs. They love to learn and are easy to train but grow very bored very quickly. The key is variation in your training method. Like all dogs, they respond well to positive reinforcement and will not respond to shouting or aggression; patience is essential. Early socialisation of your Bolognese Dog is very important to help bring up a well-balanced and sociable dog. Holding puppy parties once your dog has finished his or her vaccination course can be a wonderful way to socialise your new puppy. You can also look at dog parks, puppy classes and other forms of interaction. They are also known to be yappy dogs when bored, and bark for the sake of it, so entertainment for your dog is essential. We recommend leaving toys for when you are out of the house and regular play when you are home; this will also build a strong bond. Like a lot of small dogs, they can suffer separation anxiety, it’s best to combat this from a young age, leaving your puppy alone for short periods of time, with lots of vocal reinforcers (such as “good dog”) and play upon return. This can also be supported with crate training. Starting at just minutes and working up to longer periods will work wonders for your dog. Positive reinforcement, using praise or rewards, upon your return will promote a healthy association with you leaving, as your dog will quickly learn that you always come back. Its coat requires daily brushing and grooming. Its social nature requires a large amount of quality time with its owner. Due to these reasons, this breed is best suited to people who will be home a lot of the time, such as retirees or people who work from home. Due to its low exercise requirements, it also gets on well in urban environments such as flats, making it the perfect dog for people who live in cities. These dogs are suitable for first time owners as they are very owner-orientated and live to please people. On average this dog requires two short walks a day. Due to their small size they are not overly active dogs, and a 20 minute walk twice daily is sufficient. This regular exercise has both physiological and psychological health benefits for owner the dog. Owners find that their dogs are much better mannered if their dogs are well exercised. Play will also exercise your dog but not give them the same stimulation as that of a daily walk. Indoor play options include hide-and-seek, chasing a ball and trick training. These are all excellent activities to entertain your little Bolognese. Outdoor play in a fenced yard is ideal but if you live in an apartment indoor play is also appropriate. 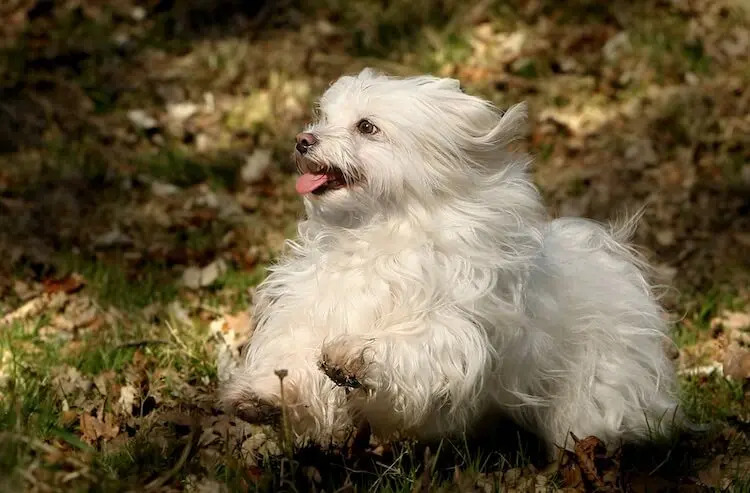 As stated above, its coat requires daily brushing and teeth cleaning, despite this, the Bolognese Dog is among those who do not shed seasonally or lose large amounts of fur like other breeds. This makes them a good choice for allergy suffers as the Bolognese Dog is part hypoallergenic. It also makes them relatively clean, as dog hair will not end up all over your furniture. Monthly grooming should take place, including bathing and eye/ear hygiene. However, feel free to make this more or less frequent depending on your own dog’s hygiene. Toy dogs tend to have a fast metabolism, therefore a specially formulated dog food will be beneficial for your dog. Grain free, high quality kibble is always a good starting point, most adult Bolognese Dogs do well on two meals twice daily, and as a result, we recommend half a cup of dry kibble twice a day. Once in the morning and once in the evening. Suggested feeding times are once between 6am and 8am and again between 6pm and 8pm. The Bolognese also responds well to a raw diet of meat and fish, however this diet is more demanding from an owner perspective due to storing and preparing the food. Protein and fats are also an important staple of your dog’s diet. Puppies massively benefit from Docosahexanoic Acid (DHA), which is a type of Omega 3 that is vital to their development. For this reason it is important to choose food with whole meat or meat meal as protein is a vital part of dog’s diet. Protein content should be 14%-21% of your dog’s diet as close to 21% during their growth phase. If you are unsure of what to feed your dog, consulting a veterinarian may be your best option as they will be able to give you tailored advice. 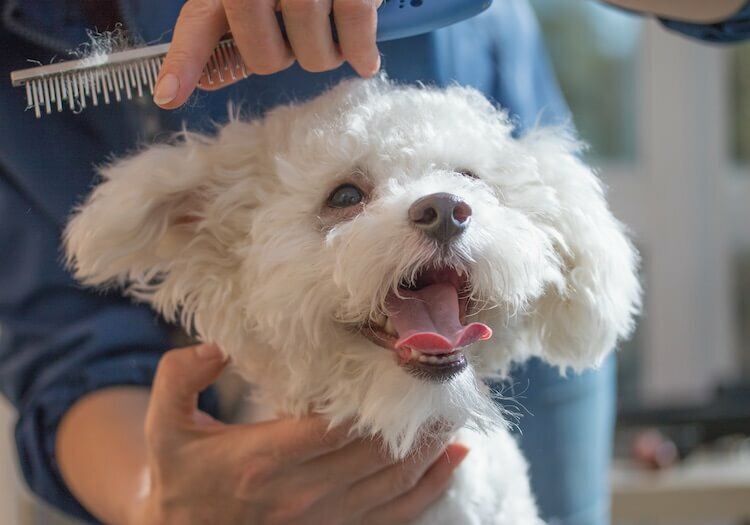 There are some reports of food sensitivity resulting in diarrhoea and gastrointestinal problems in the bichon family, therefore it is important to watch your dog’s behaviour and consult a vet about swapping foods if necessary. Bolognese Dogs are generally known to be quite healthy dogs. However, research indicates that they are prone to eye problems such as cataracts. However, with regular check-ups and grooming this shouldn’t be a major issue. 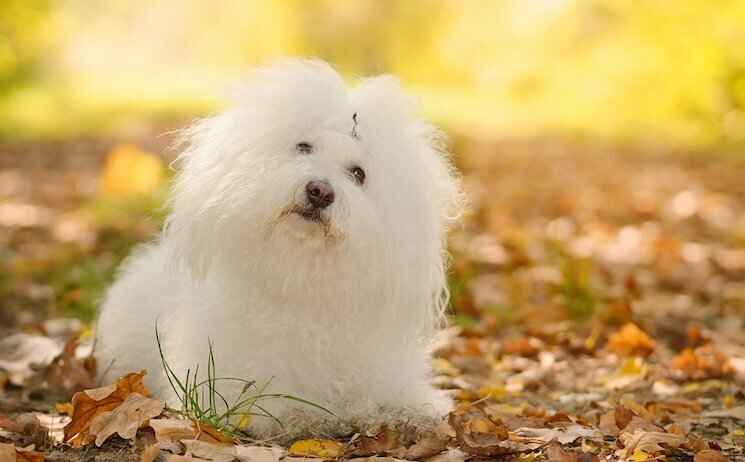 This particular dog breed is also prone to loose knees as well as problems you see in the Bichon Fries (sibling breed) such as epilepsy, heart disease, urinary stones, pancreatitis and diabetes and from hip dysplasia. This is not to say the Bolognese dogs cannot live perfectly happy and healthy lives. Most health problems are genetic, consequently, if both parents have been tested (e.g. 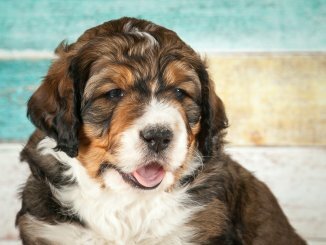 Hip Scored) and are certified as not having these conditions, the likelihood of your puppy inheriting them significantly decreases. How Long Do Bolognese Dogs Live? A Bichon Bolognese, on average, lives between 10-14 years but there are some owners who claim a lifespan of upto 16 years of age. This breed whilst toy in size, doesn’t have a toy price tag. The average Bolognese puppy costs between $1,800 and $2,500 USD making it a very expensive designer breed. 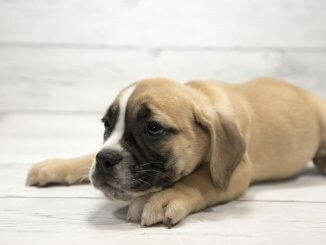 The American Kennel Club has a list of registered breeders that you may wish to contact to source a reputable breeder. Could the Bolognese dog be right for you? If you’re looking for a loyal, loving companion who thrives in all environments, this dog could be for you. Descendants of Italian royalty, they are the perfect lapdog. Bolognese dogs are known to be healthy and happy dogs, known for their stunning snow-white coats and friendly personality. The perfect owner would be home frequently and have enough free time to give them their daily grooming and high attention requirements. As such, we recommend someone who is retired or works from home. Please feel free to leave a comment telling us your thoughts about this vivacious dog breed.